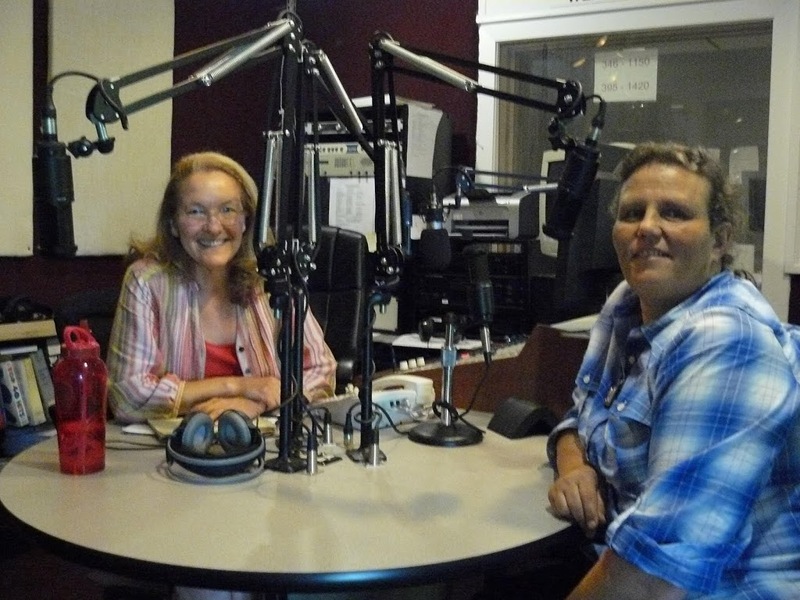 Hi, This is Carolyn Stearns and Suzanne Thompson coming to you from the radio studios of WLIS and WMRD. Ct. Outdoors guest is Carolyn Stearns and she is going to tell the audience about the story slam at a corn maze. The A-MAZE-ING Story Slam www.A-MAZE-INGStorySlam.ning.com is where Arts and Agriculture Meet! Come out and listen to stories in this free program for the whole family. In fact pack a picnic and come at 12 to hear the Crustaceans a surf band play! www.myspace.com/crustaceansrock Then at 1 the stories begin. Where to listen as Suzanne and Carolyn bring you this interview on the radio. A large piece of Eastern Ct. fits in the listening area of the two stations. Here is where to set your dial: WLIS 1420 AM Old Saybrook and WMRD at 1150 AM – Middletown will broadcast the Ct. Outdoors Show at the following times. Tuesday Aug 31 12:30 -1 p.m. and again at 6:30-7 p.m. Sat. Sept 4 you can hear it if there is no Uconn Football being aired, the show time will be 1 p.m. and on Sunday Sept 5 tune in early from 7-7:30 a.m.
You can find more of Suzanne’s work at www.theday.com/ctoutdoors as she urges people to get Outdoors we recommend this weekend in Thompson , Ct. Take a walk in Fort Hill Farms Corn Maze before or after the slam, enjoy the 70 gardens, savor the farm fresh ice cream flavors and pan for gem stones in the water. Under the tent stories will be told the winning storyteller to receive a hot air balloon flight from www.brighterskies.com Anyone can share a story 5-7 minutes on the theme; In A Quiet Corner. Tune in your radio and listen and then come outdoors and join us at the A-MAZE-ING Story Slam!